Friends, I think we’re firmly into summertime. Not that you’d know it from all this rain, but there have been a few reports of scattered sunshine. Well, when the sun is shining and people are beginning to melt, you can make yourself a hero with just a little know-how and some basic ingredients. Let’s look at some refreshing summer drinks and treats that will cool you and yours down any time. Mix a cup of water into the sugar and mix. If it doesn’t all dissolve, repeat this step until it does. 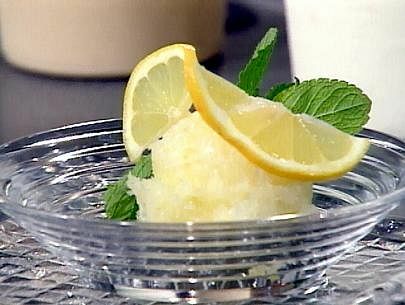 Get the juice from the lemons and mix it into the sugar syrup. Mix the rest of the water into the syrup. Don’t chill the water first. Cold water doesn’t mix with sugar so well. 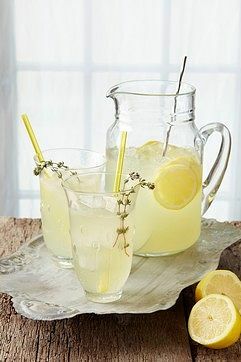 Make the lemonade, and then chill it. It will keep for a while (though it will get less fizzy) so make it well in advance! This is a slightly bitter recipe. If the final result isn’t sweet enough for you, mix in sugar a little at a time until the balance is right. If it isn’t strong enough for you add more lemon juice and sugar. Kin the same vein, add more water if it’s too strong. Dice the onions, tomatoes, and peppers. Cut the feta into cubes. Shred the mint leaves very finely. 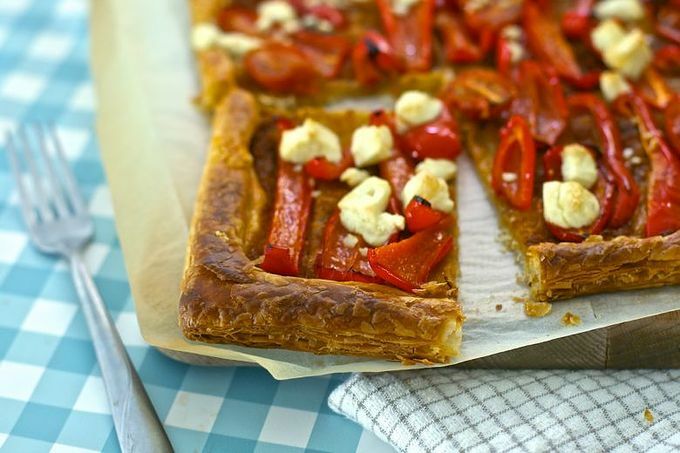 Scatter the veg, feta, and mint evenly on the pastry. Cook at gas mark 5 for about 15 minutes, or until the edges are puffed up and beginning to turn brown. Sprinkle a little balsamic over the top of the tart as soon as it comes out of the oven. Cut into squares. This one is delicious served hot or cold! Combine the sugar and water completely. Juice and rind the lemon and limes and mix into the syrup. Rapidly whisk the egg whites until they are foamy and hold stiff peaks. This may take longer than you expect, but if you go too long they will begin to separate again and the egg whites won’t be good for making sorbet. Gently fold the egg whites into the syrup a little at a time, making sure they are well combined. Put in a bowl in the freezer. Every hour for about 8 hours take the bowl out of the freezer and vigorously stir it. Serve anytime. Can be served as a slushy liquid in a shot glass for a refreshing end to a meal, or served well frozen into a soft solid as a dessert.